Initial franchise training includes 40 hours conducted in Albany, NY, plus additional on-site training once your business is ready to launch. Our pre-opening program covers comprehensive topics including operations, marketing, sales, financial management, goal setting and business management. After the initial launch of your studio, we coach our owners through the development phase, provide guidance to attract and retain new members and add classes that fit your instructor model and your business goals. 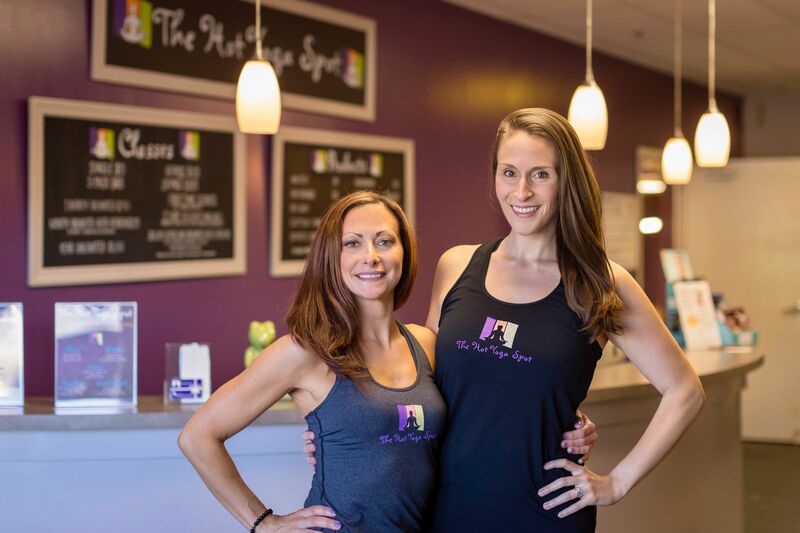 Our proven marketing tactics have allowed The Hot Yoga Spot to expand and open new studios, while offering our clients more scheduled and specialty classes, with a wide variety of yoga and barre sessions to suit their workout and yoga style and preferences. We have nearly a decade of experience and look forward to supporting you with our knowledge and through our dedicated professionals. Our team will help you with everything needed to begin your business venture from site selection, lease negotiation, digital marketing, floorplan design, retail orders and more. We set you up for success every step of the way, so you have the tools to effectively grow your business and impact your community. We do the hard work so you don't have to. Each owner and studio will have a featured website to promote the local schedule, highlight The Hot Yoga Spot teaching team, showcase upcoming events and provide detailed information about the business. This includes, but is not limited to, how to register and pay for classes, become a member or just to explore the schedule and class descriptions. We also have an app exclusively for members with easy mobile access to view what is available and to easily reserve classes. Through a combination of marketing tactics, we have designed a strategy that works best for The Hot Yoga Spot. We have an extensive catalog of marketing collateral and advertising successes that are constantly updated to meet the ever-changing ways clients learn about and register for classes. If you’d like to learn more about how we do what we do, click here to apply. Qualified candidates will receive our FDD to understand The Hot Yoga Spot model in more detail. There is a growing opportunity for The Hot Yoga Spot in areas across the country. Employing our successful model, owners will follow the structure that has worked for us in six company-owned studios. Our financial performance model is not based on just one studio, but several that have operated for several years and continue to grow. Our students trust us. Our professional experience and flexible schedule gives clients the ability to practice a variety of classes.